For any veteran who is now disabled for any reason and one guest. 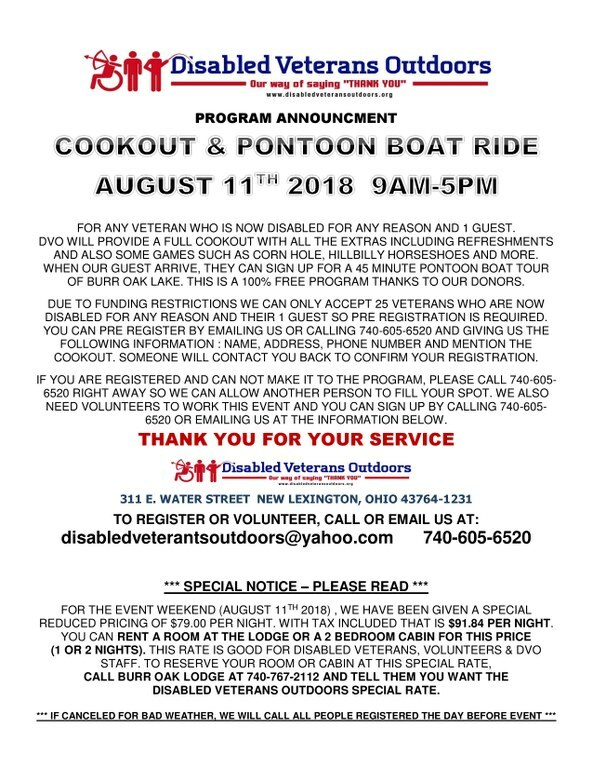 Disabled Veterans Outdoors (DVO) will provide a full cookout with all the extras including refreshments. Also provided will be games such as corn hole, hillbilly horseshoes, and more. When our guests arrive thay can sign up for a 45 minute pontoon boat tour of Burr Oak Lake. This is a 100% free program thanks to our donors. Click HERE to view/download the Burr Oak Park map.